Jurassic Park: The Game was delisted from Steam on November 14th, 2018 when its price was set to $0.00 making it unavailable to purchase. It remained available on PlayStation 3 and Xbox 360 for a time, possibly being delisted by the end of 2018. The game was removed amid the financial troubles and rapid closure of Telltale Games in the Fall of 2018. A cinematic adventure 65 million years in the making! Security systems have failed and the creatures of the park roam free. Now, a rogue corporation will stop at nothing to acquire the embryos stolen and lost by Dennis Nedry. 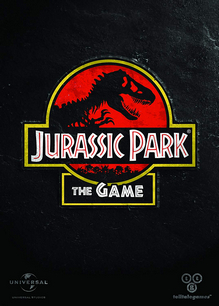 Experience a brand new adventure and see new areas and dinosaurs in this landmark game set during the events of the first Jurassic Park movie.